As electric cars become a common sight on roads around the world, the renewable energy revolution is spreading quickly to other transport modes. From the electric garbage trucks quietly transforming bin day, to a solar powered plane and hydrogen commuter trains, an emissions free future is coming into focus. Whether travelling by plane, train or automobile, here are five innovations that look set to change the way we get around. The startup announced in September that it has tested a 350 horsepower electric motor in a Cessna ‘iron bird’ test rig, which it now aims to scale up to offer a 751-horsepower alternative to the Pratt & Whitney PT6. The turboprop engine is commonly found in small aircraft that carry about 15 passengers, like the short-haul Cessna 208 Caravan and Havilland Twin Otter. 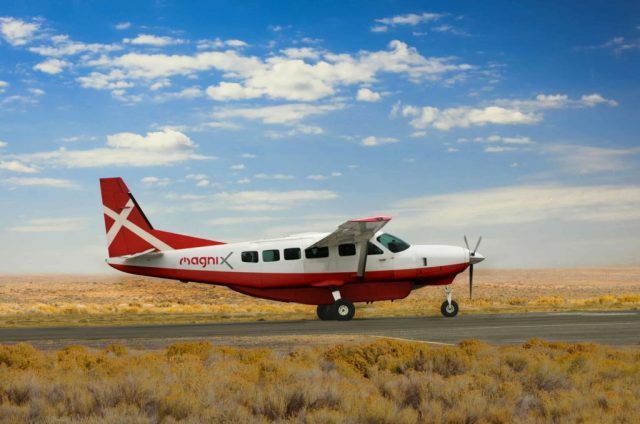 Last year MagniX CEO Roei Ganzarski told the ABC that he predicts electric long-haul flights are at least 20 to 30 years away, but the company aims to have an all electric motor ready to install in a commercial plane by 2022. Given range is expected to grow as battery technology improves, the electric propulsion system could be a good fit for the many regional routes flown by small aircraft. There is still a way to go – a Cessna Caravan could today only fly about 275 kilometres when carrying a load of batteries comparable in weight to a Cessna Caravan fully loaded with fuel – well short of the nearly 2000 kilometre range of the jetfuel powered plane. With potential to reduce operating costs by up to 60 per cent, electrifying aircraft could not only reduce the cost of travel, but accelerate the transition to renewables in the aviation industry. 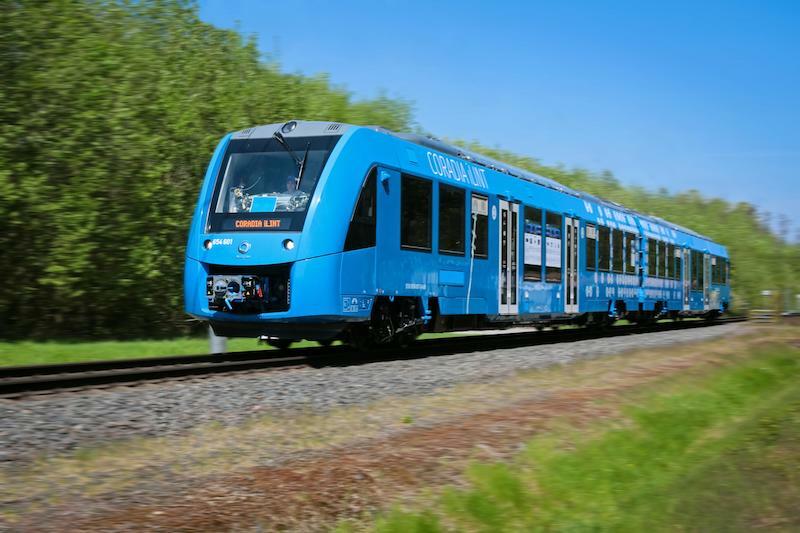 In September, two hydrogen fuel cell powered trains took their first passengers on a 100km route in northern Germany normally serviced by diesel powered engines. Releasing only steam and water condensation, the award-winning hydrogen powered trains perform similarly to their diesel rivals, comfortably cruising at 140km/h with 1000km range and accommodation for 300 passengers. The German Government has invested in the technologically advanced trains to reduce emissions on non-electrified railways, as part of their efforts to combat air pollution. As well as building 60 new hydrogen trains for the German market, Alstom has also been engaged to convert existing UK rolling stock to meet the Government plan to remove diesel trains from the network by 2040. The 30 year old UK fleet will be retrofitted with hydrogen fuel cells and tanks, providing an alternative to electrification to cut noise and emissions on the majority of the network which is currently served by diesel trains. Alstom’s German MD Dr Jörg Nikutta predicts that the lower running costs of hydrogen trains will mean they will already break even with diesels within ten years. “It’s obvious that diesel will die… and with batteries you could go, say, 50 km. Those looking to travel any further, as most rail passengers do, will find that hydrogen is the only option,” Nikutta said. Closer to home, Melbourne-based SEA Electric is going from strength to strength, converting trucks and vans to run on its proprietary electric driveline. With a range spanning everything from a delivery van all the way up to a a IVECO ECCO cab chassis which can be fitted out for garbage collection or transporting goods, the vehicles can be tailored for a wide range of applications. SEA Electric install their system onto engineless ‘gliders’ at their Dandenong factory. The platforms are supplied by some of the world’s largest truck and van manufacturers and are fitted with the company’s drop-in engine and battery system, which sits between the vehicle’s chassis legs. In late 2018 the City of Casey took delivery of Australia’s first all electric garbage truck, which promises to clean up bin day. With near-silent running, immediate torque, regenerative braking and a range of around 180kms on each charge, the system has attracted interest – both from Australian councils and abroad. An order for ten more garbage trucks has already come from New Zealand. Logistics giants DHL and Linfox are trialling SEA Electric’s vehicles in their fleets, along with Woolworths who have set a goal to transition their fleet to 100% electric. While costing more upfront than the non-electric alternatives, SEA Electric managing director Tony Fairweather told the All Energy Conference in October that the price premium is repaid within four years thanks to lower fuel and maintenance costs. In mid-2017 the company received $5 million in funding from the Clean Energy Innovation Fund to ramp up production. SEA Electric have also received support from the Victorian Government to open a factory in the Latrobe Valley, which they say will employ 500 people within three to five years. As cities across China embrace renewable energy, Shenzhen has become the first to transition its bus fleet to entirely electric power. The city of 12.5 million people embraced zero emissions vehicles in 2009 to tackle unhealthy levels of air pollution. Within two years, the first all-electric buses began rolling off the production line at Chinese manufacturer BYD, and today the city boasts a fleet of more than 16,359 electric buses. According to BYD estimates, its fleet has travelled in excess of 17 billion kilometres and saved 6.8 billion litres of fuel. That has avoided 18 million tons of carbon dioxide being emitted – the equivalent to the amount released by about 3.8 millions cars in one year. In April last year, Bloomberg estimated that China was home to 99 per cent of the 385,000 electric buses on roads around the world. They predicted that the electrification of these buses was on track to reduce demand for fuel by 279,000 barrels over the course of 2018. “Suddenly, buses with battery-powered motors are a serious matter with the potential to revolutionize city transport—and add to the forces reshaping the energy industry,” Bloomberg New Energy Finance said at when the report was released. “With China leading the way, making the traditional smog-belching diesel behemoth run on electricity is starting to eat away at fossil fuel demand. “Every five weeks, Chinese cities add 9,500 of the zero-emissions transporters—the equivalent of London’s entire working fleet,” Bloomberg said. Aiming to prove the potential of renewable energy, in 2015 Solar Impulse 2 set off on the first round-the-world flight by a solar powered aircraft. The trip broke 19 official aviation records, including the longest uninterrupted solo flight with the 5,545 mile (8924km) leg from Japan to Hawaii taking an epic 118 hours. Setting off from Abu Dhabi, the 40,000 kilometre fuel-free journey included crossings of the Pacific and Atlantic oceans. It wasn’t smooth sailing – challenging conditions in China caused weeks of delays, and the trip across the Pacific had to be put on hold for 10 months while overheated batteries were replaced in Hawaii. 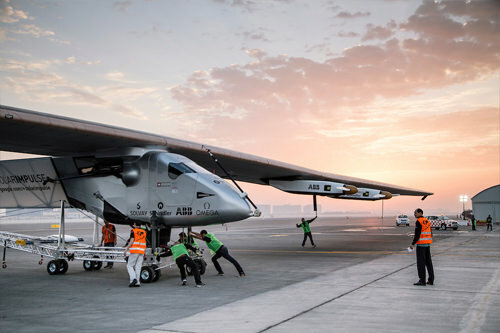 Completing the final leg back to Abu Dhabi in July 2016, pilot Bertrand Piccard said their mission launched electric propulsion from a pipedream to reality. “Today NASA is developing an electric aircraft. Airbus is developing an electric aircraft. So it is starting to be on the roadmap of the aviation world. I think that for us it is something, which is…very, very good news,” Piccard said. More than 17.000 solar panels fitted to Solar Impulse 2’s wings charged four 21 KWh batteries during daylight hours, allowing Solar Impulse 2 to fly through the night. While the system allowed the plane to stay airborne indefinitely, gruelling on-board conditions for the solo pilot forced the circumnavigation to be broken into 16 seperate legs. The unheated, unpressurised cabin meant the pilots had to wear full flight suits and oxygen masks, with the single seat able to recline into a bed for short naps, and also take care of toilet duties. The four electric motors fitted to wings spanning wider than a Boeing 747 each produce 7.5 KW, allowing for a cruising speed of 43mph (70kph) – provided the sun is bright. Actual cruising speeds throughout the trip were closer to 30mph (48kph). To make the most of the available sunlight, pilots and Solar Impulse founders Bertrand Piccard and André Borschberg climbed to 29,000 feet each morning, before descending to around 5,000 feet at night to conserve energy. Building on the success of the first circumnavigation of the globe by a solar plane, the Solar Impulse Foundation is now searching for 1000 profitable solutions to environmental issues. We might not be boarding solar powered planes any time soon, but Solar Impulse 2 proved that the sky is far from the limit for renewables.